These whimsical whistle features a smiley clown of the adorable variety and come in multiple varieties of color and design. All whistles are 4 1/2" long and feature sliding whistle action. 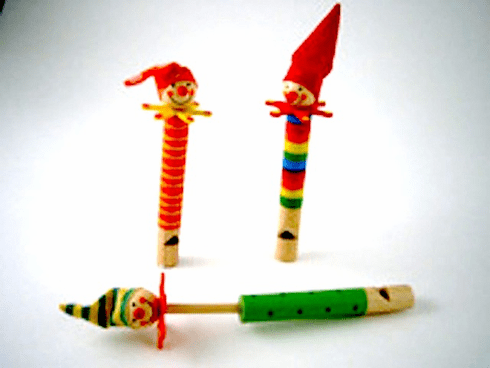 These charming whistles are sure to win over the heart of even the most clown phobic person in your life! Whistle is made of wood wearing a felt collar and cloth hat. Price per item. Assorted colors.